Telekritik (commissioning editor: Angelika Wittlich) was a series of programs that aimed at formulating a critique of TV within TV itself. It started in 1973 with Farocki’s The Trouble with Images, a fierce and polemic dissection of the TV feature format. Like other Telekritik episodes (Bitomsky on Humphrey Jennings, Farocki on Basil Wright) Rainer Gansera’s presentation of two short films by Peter Nestler introduces the work of a documentary filmmaker as an antidote against the sloppy and thoughtless way text and image are treated in conventional TV journalism. 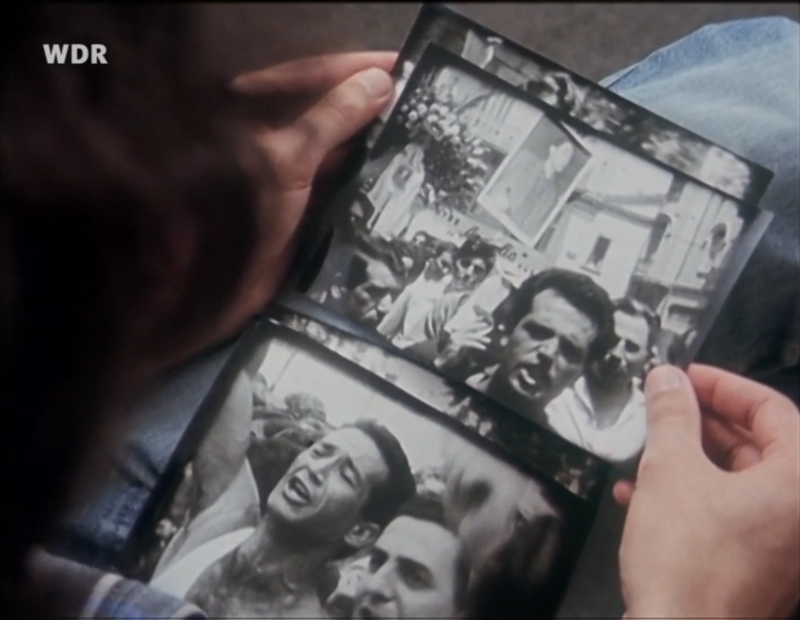 Thoughts and words in process: Gansera sits at a desk browsing through journals, describing scenes from Aufsätze and Von Griechenland, emphasising moments of attention and labor with stills from the films. 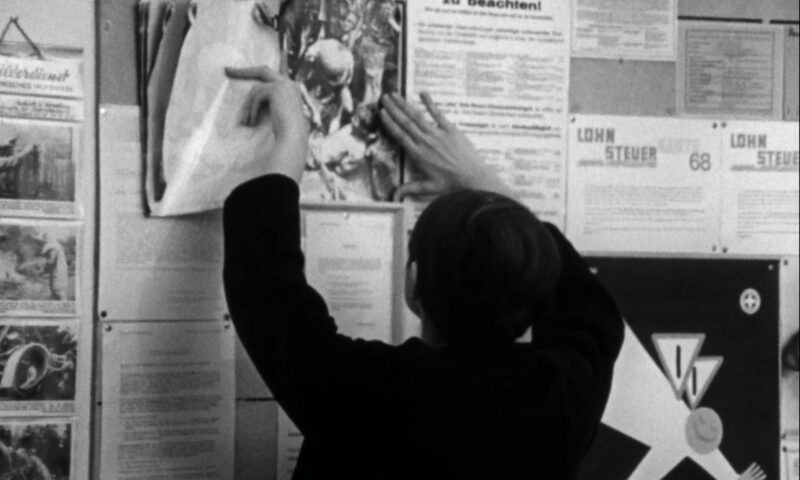 The screening of Rainer Gansera’s film will be preceded by two short films by Peter Nestler: Aufsätze (1963) and Von Griechenland (1965). Aufsätze, shot originally in 35mm and made in collaboration with Kurt Ulrich and Marianne Beutler, is a short film showing us the daily routine of a primary school in the snowy Swiss Oberland Headlands, as told by the words and drawings of the children. In Von Griechenland, conceived in collaboration with Reinald Schnell, images of Greece during the summer crisis of 1965 are accompanied by a voiceover reflecting about the anti-fascist struggle and the history of Greek resistance in the 1940s, as a stark warning against the re-emergence of fascism. The reading of a letter by Konstantina Petru, the mother of Georgius Petru, a fighter from the Democratic Army of Greece who was executed during the Greek Civil War, forms the centrepiece of the film. In collaboration with the Goethe-Institut London, and with special thanks to Christhart Burgmann, Martin Brady, Werner Dütsch, Antje Ehmann, Ingemo Engström, Rainer Gansera, Joanna von Graefe, Anke Hahn, Maren Hobein, Annelen Kranefuss, Peter Nestler, Matthias Rajmann, Karin Rausch, Felicitas Rohrmoser, Birol Teke, Klaus Volkmer, and Angelika Wittlich.